The Bob Moog Foundation ignites the innovator in us all through exposure to interactive educational experiences that draw from Dr. Bob Moog’s legacy of groundbreaking work at the intersection of music, science, and imagination. Synthesis on hardware synths is a real adventure. Every synth designer has their own interpretation on how things look, feel, sound and get patched together! 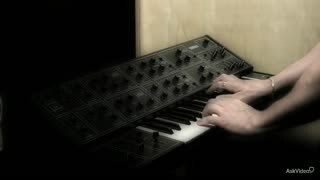 In this sixth course in our Foundations Of Synthesis series, Marc Doty assembles a selection of synths from his personal collection and demonstrates how he creates his sounds. All of the synthesis and control processes that Marc brought to the table in the previous five courses blend together as he builds (and patches) lead, bass, and FX. This course is a unique opportunity to get inside a master synthesist's head to see how he manipulates and realizes the sonic dreams that reside in his aural imagination! 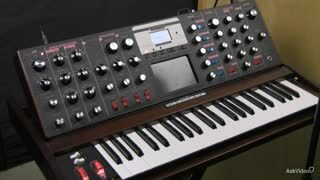 Bob Moog was an early pioneer and inventor of voltage controlled analog synthesizers. He revolutionized the music industry and his ideas, inventions and musical instruments have dominated the sound of music for more than 30 years. Aside from being an innovator, Dr. Bob was an outspoken advocate of education. The Bob Moog Foundation, created by his daughter, Michelle Moog-Kousa, continues his legacy with Dr. Bob's SoundSchool, the preservation of his inventions and the development of the Moogseum – the only museum of its kind dedicated to the advancement of sonic education. We hope you will help support the BMF's efforts by watching these courses with the knowledge that a large portion of the proceeds go to support their awesome efforts! 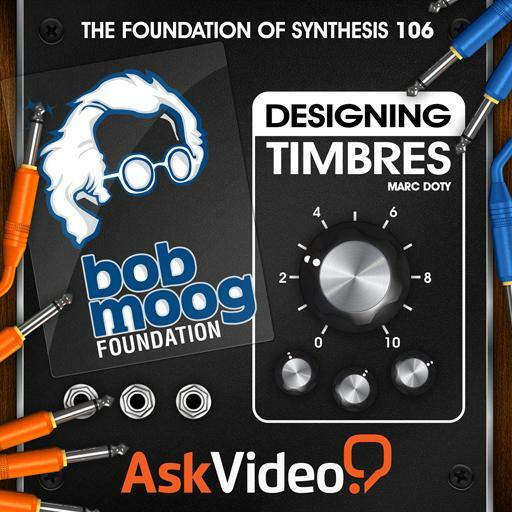 So sit back, hit the play button, and get into sound design in this Foundation of Synthesis course with Marc Doty, and the Bob Moog Foundation. Be sure to watch all 6 of the BMF's courses on filters, modulation, oscillators, sound design and more! 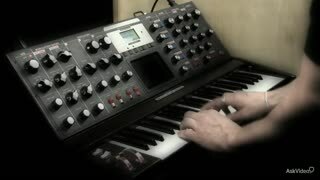 This is the last video of the moog series and this video is one of the better ones. Bottom line: it is okey. I expected something different with a little bit more education, not just explaining how the synth works. But on the other hand it is cool to see these old beauties in action. Really enjoyed the 'Foundation of Synthesis' course. 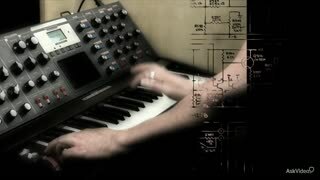 Although quite basic, a must watch for any synthesist or analogue synthesiser enthusiast. This is a great series. 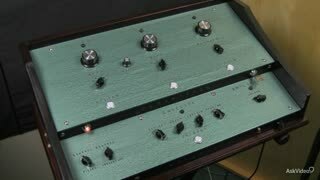 Even if I don't own any of these synths I get a lot of ideas for sound creation and also a greater understanding of sound synthesis in general. Nice course. There is a lot that can be done with Analog synthesis that is often overlooked within the digital/Software realm. Excellent course on creating timbres. Lot's of tips for novice and experts alike. Great machines too! This was a phenomenal series! Not only has it helped me better understand the software synths I use, it has made me respect (and want to get my hands on) hardware synthesizers! Good gig MacPro!!! Putting it all together. 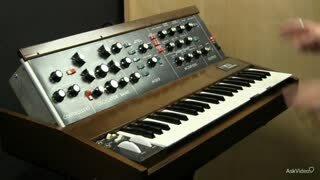 This shows multiple examples, primarily on the Voyager, MiniMoog and the CS-15. There's discussion on how the sounds were made and how the pieces affect the end result. I started to watch these tutorials, just to see a little bit about voltage control, and got hooked on the whole series. I think the delivery is very sincere, and engaging. 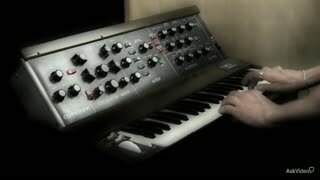 The sounds of the old synths alone, makes this tutorial fantastic. I feel inspired to dig up my old analog rack unit and start making patches.